Omotola Jalade Ekeinde’s incredible holiday gift! 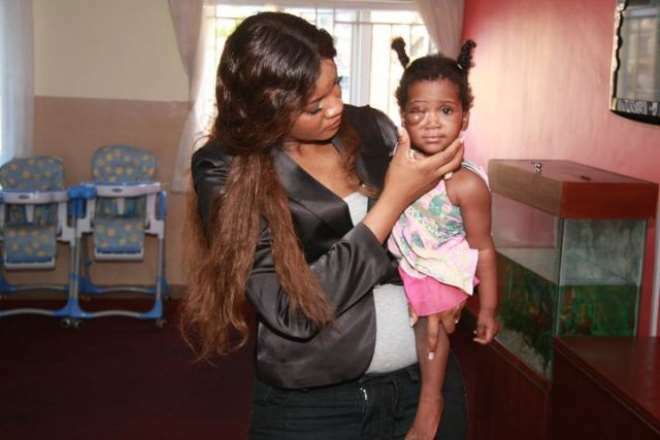 Star Actress and singer, Omotola Jalade Ekeinde a.k.a Omosexy is no doubt a humanitarian by heart. The award winning movie diva who is also a UN ambassador spent the holidays showing love to the less privileged. She took out time visiting the Heart of Gold Hospice in Lagos, a refuge for sick & disabled children who've been abandoned by their parents. Omosexy was on hand to spread some holiday cheer by donating gifts/supplies, spending time with the kids & learning more about the work being done at the hospice. Great work Omotola! Great work!